The other day, I was so excited when the Southern Bow Boutique posted on Instagram that their $2 Tuesday bow was the Let's Cha Cha pattern! So of course, I bought it. I had fun wearing it with neutrals and having it pop out. Look, I can't describe the versatility of this dress or these boots. You can't have enough easy black dresses, as I seriously wrote about one yesterday and it was basically the same outfit....oh well. It's comfy and easy, and I love it. Isn't this bow just darling? This print is definitely one of my favorites. 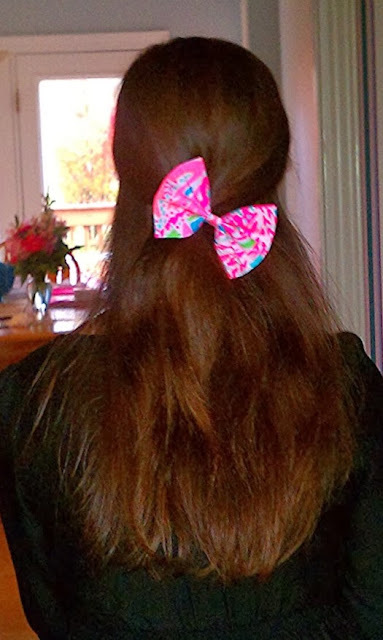 Check out the rest of the inexpensive, but totally cute bows on their website! Love your bow! It looks totally cute with your outfit. Thanks for sharing the website!